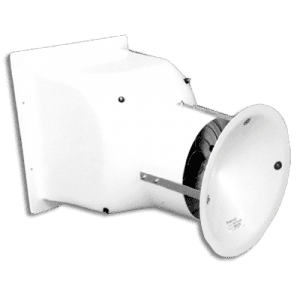 The wind diverter kit for fans larger than 36″ reduces wind pressure without interfering significantly with exhaust rates of fans. The on-coming wind stream accelerates around the wind diverter, “sweeping” exhaust air with it. Strong Osborne RTM-Glas™ fiberglass-reinforced plastic cone. Includes mounting hardware. 58-in. diameter. 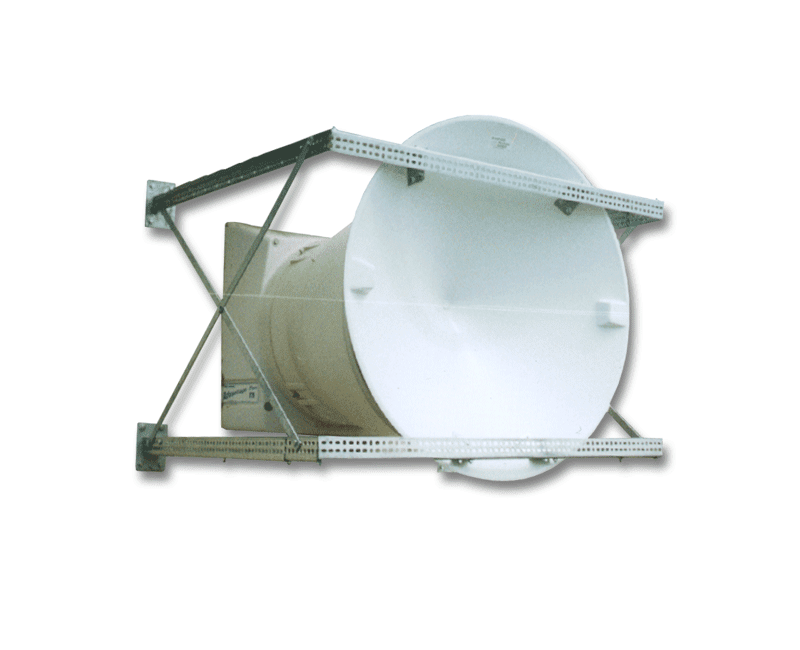 Protects up to 60″ round hood or 41″ square hood. Fan not included.